With the Rotary Health Fair coming November 3 to Homer High, you can get a blood test on weekdays from 8 to 10:30 am for only $40. Schedule tests online: https://www.sphosp.org/ (here’s the direct scheduling link https://instant-scheduling.com/sch.php?kn=670528). And check out City of Homer Parks and Recreation Fall-Winter activity guide: https://www.cityofhomer-ak.gov/sites/default/files/fileattachments/parks_amp_recreation/page/37971/fall-winter_2018-19_pdf.pdf. Finally, the end-of-season TRAILS visit to horses at Bay Ridge Ranch will be re-scheduled when we have a window of nice weather. I had sure hoped it would stop raining enough for the driveway to dry out a bit, but no such luck. There's standing water in much of the area I'd hoped to be able to use--and the footing is turning into pudding. So I'm gonna try again NEXT week to have the TRAILS end-of-season pony time--hoping to find a window of decent weather. My apologies for those who were hoping pony time would come together this week. We'll try again next week. I'm rolling the dice that Wednesday weather won't be TOO bad for an end-of-season visit to the ponies at Bay Ridge Ranch. 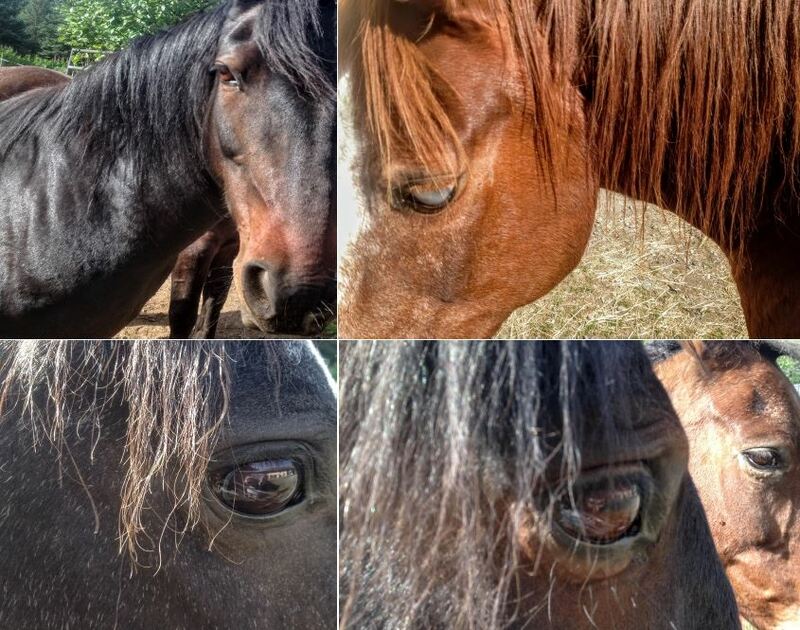 Unless you hear otherwise, we'll gather at ILC at 4 pm and carpool up to the ranch for an hour or so of enjoying the big, beautiful, friendly calmness, and warmth of a happy herd of horses. I'll keep you posted, so check here if you want last-minute details. In addition, Devony will see if she can dodge the rainstorms on Wednesday or Friday to hold an End-of-Season TRAILS visit with the ponies. Check your TRAILS emails for updates or check this webpage. I included incorrect information on this week's calendar; I've attached an updated calendar for your convenience: weekly events Oct 6-13-corrected.pdf. Here's the correct listing: Thriving Thursday this week presents Amy Woodrush and Connor Schmidt. They will tell us about the Green Dot program, which focuses on helping create communities where spreading messages of nonviolence helps develop norms preventing violence. You'll also learn crucial skills for intervening in difficult situations. Also TRAILS has some FREE TICKETS for Friday's ALAXSXA I Alaska show at the Mariner Theater. It starts at 7 pm. If you're interested, call Devony at 299-3244--tickets are limited. I'll be at the Mariner at 6:40 pm to hand out tickets to those who've let me know they want to come. "ALAXSXA | ALASKA weaves puppetry, video, recorded interviews, and yuraq (Yup’ik drum and dance) in a collage of contemporary and historical encounters between Alaska Native communities and newcomers to the Great Land. 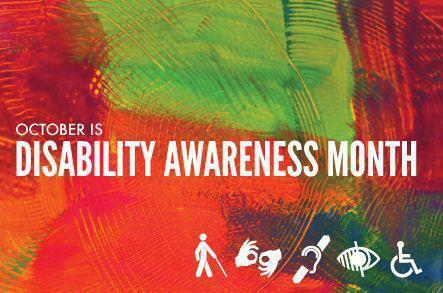 Happy DISABILITY AWARENESS MONTH, EveryBODY! And TRAILS is trying to arrange free tickets for Friday’s show at the Mariner—I’ll keep you posted. If you already miss fresh produce from the Farmers Market, don’t forget that the Alaska Food Hub is your online farmers market until early November: https://alaskafoodhub.localfoodmarketplace.com/. Greetings! It is officially fall, which basically means winter is knocking on our door. Luckily, TRAILS is here to hopefully offer some brightness and fun to the colder months. Our ceramics partnership with AVTEC will continue this year. TRAILS participants are taking first dibs on available slots so CALL ME AS SOON AS POSSIBLE (491-0481) to reserve your spot!! A maximum of 20 people will be able to sign up. Also, be sure to come to the ILC office to grab half-off vouchers -- which you are eligible for as a member of TRAILS. Additionally, we will be focusing on indoor artsy endeavors during the winter months. Be sure to RSVP (491-0481) so I can prep supplies, then come by ILC on Thursday at 3pm to explore your creative side and socialize a bit! And of course, baby Roan will be on the clock offering up a "goo" and a smile. It’s that time of year—the LAST Farmers Market of the season. Come join the annual Farmers Market Harvest Party Potluck. You’ll find big pots of soup made with locally grown veggies, as well as live music and lots to see and do. Also, there’s a special Thriving Thursday this week, presented by ethnobotanist Priscilla Russell—she will share stories and knowledge about local plant use gained from years of working with Native elders. And finally, Friday is First Friday—so give yourself the pleasure of strolling through local galleries to enjoy the latest art works on display. TRAILS has planned a fun KAYAK event that’s so LAST MINUTE it will happen Tuesday OR Wednesday—depending on the weather. Right now, Wednesday's looking nicer, wind-wise. 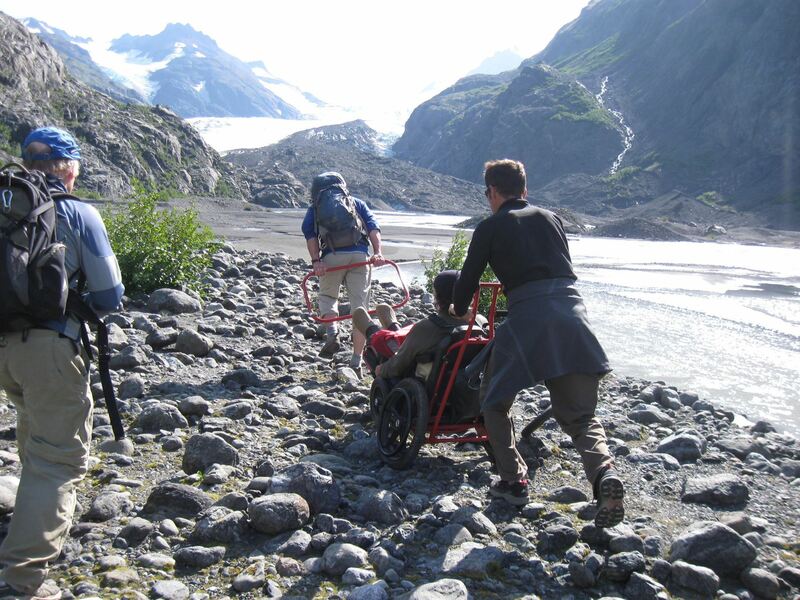 If you’re interested in joining us at the Kachemak Bay Water Trail launch site (behind Pier 1 Theater), let me know--299-3244--so I can give you details when we have them finalized. We’re gonna try out a few different kayaks and learn to launch at the water trail launch site and be able to paddle around a bit close to shore. High tide determines timing, so we’ll be there starting at 4 pm. And we’ll be taking video to help highlight TRAILS activities and the Kachemak Bay Water Trail, so wear your biggest smile!